Alex, 20, was born and raised in Kent, England. He attended the Sutton Valence School where he was a boarding student. Alex graduated with a high school equivalency diploma (GCSE’s) at the age of 16 and was then given an opportunity to attend the Golf Academy in Orlando. Alex had a difficult decision to make in moving from England to the United States at such a young age or staying in the U.K. to attend the Lee Westwood Golf School in England. Ultimately, he decided to attend the GAA Orlando to pursue his AA degree as well as further his golf skills at the same time. Alex bravely decided to leave his comfort zone, leaving his friends and family behind, and headed to the golf capital of the world, Orlando, Florida because this was the place where he felt he needed to be in order to pursue the dream of playing professional golf. 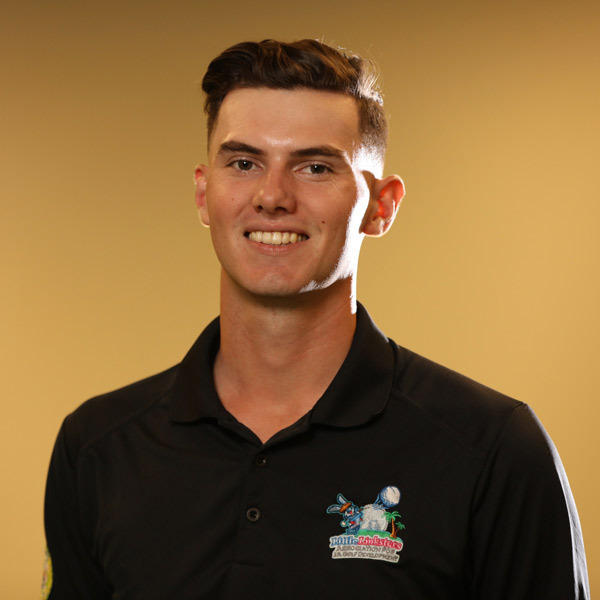 After being the youngest ever to graduate from the Golf Academy of America, Alex continued to work on his game whilst applying for residency, once granted Alex decided to stay in Florida where he would continue to build a strong team and support network. In 2017 qualified for the four-ball state championship held at Trump Doral, Miami, Fl. Alex finished T4th in the state and felt it was time to turn professional. Alex’s ultimate goal is to someday play competitive tournament golf on the PGA Tour. Until then Alex has taken the opportunity to work with Little Linksters and Brendon Elliott in furthering the lives of junior golfers by working with them on their life skills and golf skills. In September of 2017, Alex became Little Linksters new Director of Academy Programs at our Little Linksters Academy at Wekiva Golf Club and he is very excited about his new role. Like all our instructors, Alex’s philosophy of teaching golf to kids is to instill sound fundamentals and provide a fun learning environment. Alex Hastings Golf updated their profile picture. Alex Hastings Golf updated their cover photo.